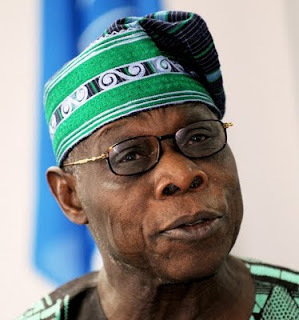 A former President, Chief Olusegun Obasanjo, has said there is an urgent need to reform institutions in the country, adding that the education sector particularly needs a complete overhaul. Obasanjo, who spoke at the 18th Valedictory Service of Good Shepherds Schools, Ota, Ogun State, said the decay in the country had eaten deep into the education sector. The former president, who was represented by his Chief of Staff, Deacon Victor Durodola, said examination malpractice was a sign of the corruption and rot in the system. This is also as a don, Prof. Supo Jegede, said unless the country’s education sector was overhauled, it would continue to dwindle. Obasanjo said, “Our system has crumbled and the education sector has been affected. Unless we overhaul our system, we will continue to have problems. The education sector is a subset of the system. Once we overhaul the system, everything will fall in place. The former president said examination malpractice was a form of corruption that must be tackled. “Examination malpractice deserves to be treated with iron hand. It will grow like wild fire if we don’t arrest it,” he added. The don, Jegede, in his paper, ‘Changing the Nation: an Individual at a Time’, said the youth must have a positive mind, adding that individual efforts could start the process of change in Nigeria. The school director, Dr Adebayo Oyeyemi, urged the 225 graduating pupils to remain focused and strive hard to achieve their goals.